Oh boy! Have we got a sweet treat for you. Would you like a little sneaky peak at the latest collaboration from Irregular Choice? Go on, what are you waiting for? If this isn’t exciting, we don’t know what is. 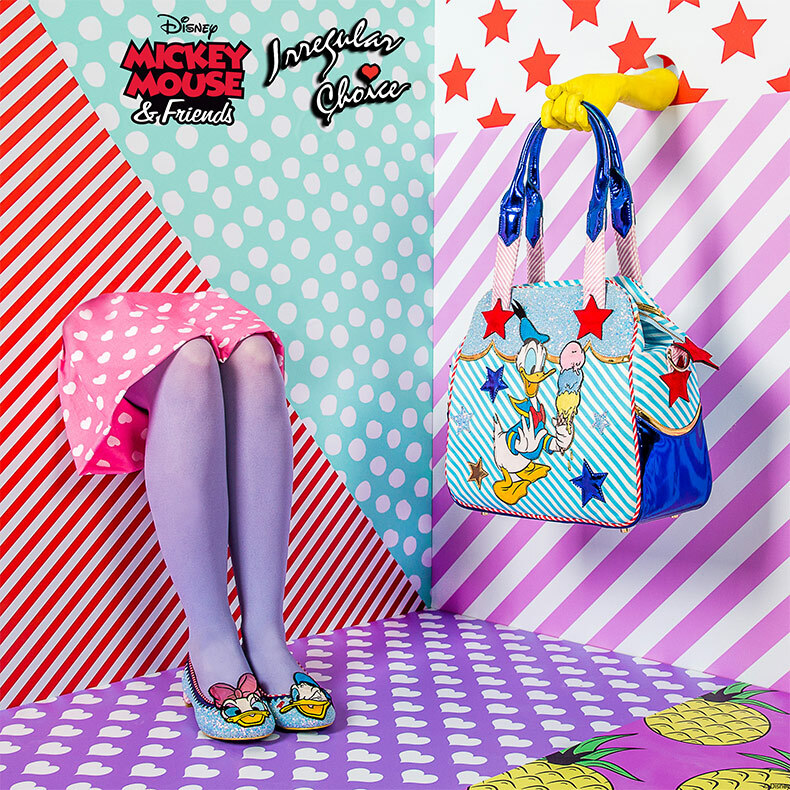 Ladies, prepare yourselves for the collaboration of all collaborations as Irregular Choice X Mickey Mouse & Friends delivers, what is essentially, the most magical collection every girl has ever dreamed of. There’s no doubt about it! It wasn’t possible to keep it to ourselves, we just had to show you this exciting new collection. The Mickey Mouse & Friends collection is adorned with an array of super cute hearts, stars, dots and bows, along with your favourite Disney characters, including the adorable Mickey and Minnie Mouse, Daisy and Donald Duck. There’s also a whole lot of glitter and metallic thrown in for good measure too. It really wouldn’t be an Irregular Choice collaboration without it. We reckon it’s what dreams are made of. Here’s a small peak at what’s to come. You’ll hardly be able to contain yourself. It’s all candy stripes and pastel shades with this quacking pair. Daisy and Donald Duck will be waddling into your wardrobe very soon. We’re not giving it all away, so keep your eyes peeled for this stunning collection from Irregular Choice X Mickey Mouse & Friends arriving soon. Check out our full range of Irregular Choice while you wait for this magical collaboration to drop. It will be here very soon, we promise!